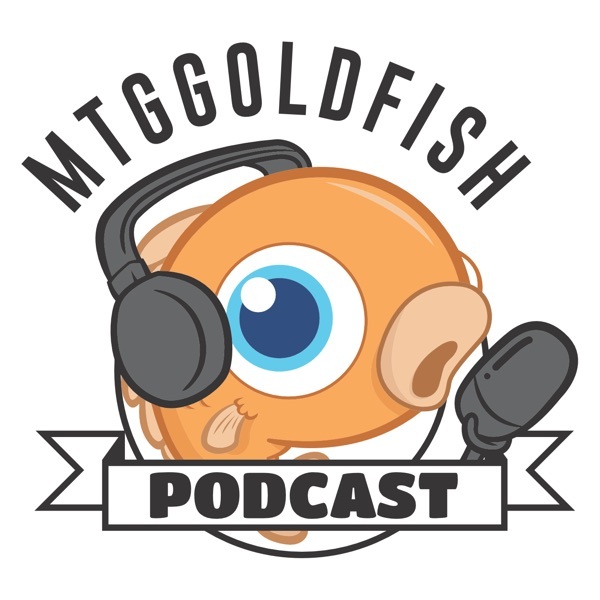 Join Chaz, Richard and Seth in the introductory episode the official MTGGoldfish podcast. The team breaks down some of the hot new mythics from Fate Reforged and gives their take on the peculiar design of the set. Chaz, Richard and Seth cover the results of Modern GP Omaha, the upcoming Banned and Restricted announcement, and some tips for the Fate Reforged prerelease. The crew discusses how the Banned and Restricted announcement will affect Modern and Legacy, and what to expect with card prices. The crew discusses the new Standard metagame in light of SCG DC and the new up and coming format Tiny Leaders. The crew discusses the upcoming modern Pro Tour and touch upon the Magic Online release events. The crew discuss everything Modern in light of Pro Tour Fate Reforged and give their expectations and theories for Magic Origins. The crew goes over From the Vault Angels, the Hasbro Financial Report and discuss PVDDR's take on Modern. Special guest Rolle, the man behind the Limited Analysis data on MTGGoldfish, joins the podcast for a limited extravaganza. The crew discusses how to use the data and touch upon Fate Reforged limited as well as the newly announced Tempested Remastered. The crew discusses week one of Dragons of Tarkir spoilers. The crew discusses all the news from PAX East including Modern Masters 2015, Magic Origins, Battle for Zendikar and the latest Dragons of Tarkir spoilers. The crew discusses the final batch of Dragons of Tarkir spoilers, their overall impressions on the set, SCG results and the new Damnation MOCS promo. The crew is joined by MTGGoldfish writer Jake Stiles for a discussion on DTK prerelease, limited, expected value, and the new Judge Promos. Richard is on vacation so Seth and Chaz tackle Tempest Remastered and the new DTK Standard. The crew discusses the results of Pro Tour Dragons of Tarkir and go over some sweet decklists from States. Rolle and Jake join Richard and Chaz for some discussion on DTK Limited. The crew discusses MM2 and the unofficial spoiler rumors. Chaz and Seth discuss MM2 spoilers and the results of the Standard GPs in Toronto and Sao Paulo. The crew discusses Modern Masters 2015 with the full spoilers revealed. This crew discusses the past week's tournament results. The crew discusses the Modern Masters 2015 release and all the packaging woes. The crew discusses GP Vegas and Goyfgate along with a bunch of #mtgfishmail. The crew discusses Magic Origins spoilers and MTGFinance in relation to the recent modern spikes. The crew is joined by Sawyer Blatz to discuss the merits of mtgfinance, and in the spirit of ORI, discuss their own Magic origins. The crew discusses the second batch of Magic Origins spoilers and the new mulligan rules. The crew discusses GP Lille and Legacy in general, and make predictions for the upcoming Banned and Restricted announcement. The crew discusses the Magic Origins prerelease as well as the weekly movers and shakers. The crew discusses Week One tournament results for Magic Origins and the new Play Points changes for MTGO. The crew discusses the weekly movers and Magic Online. The crew discusses the outcome of Pro Tour Origins and the new spoiler Oblivion Sower. Chaz is back and the crew discusses Zendikar vs Eldrazi spoilers and Battle for Zendikar. The crew discusses the huge news from PAX: Zendikar Expeditions, Full Arts, and BFZ Spoilers. The crew is joined by Corbin Hosler and we discuss Expeditions and new spoilers including Kiora, Ob Nixilis. The crew discusses the latest batch of spoilers, BFZ finance and tournament results. The crew wraps up spoiler season with their final thoughts and bid farewell to Theros standard. The crew discusses their pre-release experience and first impressions, as well as the new B&R update. The crew discusses the new Standard Meta, Jace Vryn's Prodigy and the price of Fat Packs. The crew discusses the second week of BFZ Standard and the upcoming Pro Tour. The crew discusses the results of PTBFZ, the new Snapcaster Mage RPTQ Promo, and OGW Fatpack full art lands. This crew discuses BFZ Power Level, Reliquary Retreat, Old School MTG. The crew discusses Shadows over Innistrad, Death of Legacy, Commander 2015. Tomer (BudgetCommander) joins the crew for a Commander 2015 special. The crew discusses the state of Standard. OGW Rumors, Stoneforge Mystic Unban? The crew discusses the latest OGW rumors/leaks, and whether a Stoneforge Mystic unban is likely. The crew discusses how leaks affect the game, Chandra, Nissa and the Expeditions. The crew discusses the first batch of official OGW spoilers! The crew discusses the latest batch of OGW spoilers. This crew discusses the proxy controversy and the recent mtgfinance events and make B&R predictions. In this live podcast, special guests Wedge and CVM join the crew to discuss the OGW prerelease and Modern bannings. The crew discusses the first major OGW Standard event. The crew discusses the results of the Pro Tour and welcomes our Eldrazi overlords. The crew discusses Eternal Masters and the Future of Legacy. The crew discusses the Eldrazi Winter, the Eternal Format, and Legacy. The crew discusses Legacy Eldrazi, Standard, and Pauper Finance. The crew discusses Shadows over Innistrad spoilers and mechanics. The crew discusses Arlinn Kord, Nahiri, and other SOI Spoilers. The crew discusses the upcoming B&R announcement and SOI Finance. The crew discusses the B&R Update and the new Modern, and Shadows over Innistrad prerelease. The crew discusses their initial thoughts on the new Shadows over Innistrad standard. The crew discusses the upcoming Pro Tour Shadows over Innistrad. The crew discusses the Pro Platinum changes, no more Modern Pro Tours, #PTSOI and the future of MTGO. The crew discusses Magic as an E-sport and a ton of fishmail questions. The crew discusses Coverage, the Evolving Standard, and MTGO Subscription Predictions. Kaladesh, new Planeswalker Decks, and all the Products! The crew discusses the six new products: Kaladesh, Aether Revolt, Planeswalker Deck, Planechase Anthology, C16, Nissa vs Obnixilis. The crew discusses Grand Prix LA and the first batch of Eternal Masters spoilers. The crew discusses their reactions to the complete Eternal Masters spoilers and speculate on the Magic movie. The crew discusses the current state of Standard. The crew discusses the Eternal Masters Release and answers your fish mail. The crew discusses Emrakul's arrival on Innistrad in Eldritch Moon. The crew discusses Brisela, Voice of Nightmares and the new mechanics in Eldritch Moon. The crew discusses the latest planeswalker spoilers, as well as the recent Lion's Eye Diamond buyout. The crew discusses Eldritch Moon final impressions, TCGplayer Market Pricing, and Martin Shkreli. The crew discusses the Elritch Moon prerelease and the latest Banned and Restricted update. The crew discusses: SDCC Promos, Searchable EMN, Week One Standard. The crew discusses FTV: Lore, DD: Nissa vs Ob Nixilis, Pro Tour Eldritch Moon, Maro's take on control, and Liliana, the Last Hope. The crew discusses Pro Tour Eldritch Moon and limited coverage in general. The crew discusses Conspiracy: Take the Crown spoilers with reprints and Legacy in mind. The crew discusses the triple Modern Grand Prix weekend and the upcoming Kaladesh Standard rotation. The crew discusses the initial batch of spoilers including Saheeli Rai and the enemy fastlands, and the 2016 World Magic Championship. The crew talks Kaladesh Inventions, Planeswalkers, and Conspiracy 2 on Magic Online. The crew discusses Kaladesh Prerelease, B&R Update, Frontier Format. The crew discusses the Kaladesh Week One Standard Metagame, Magic Online Treasure Chests, and Redemption. The crew makes predictions for the upcoming Pro Tour Kaladesh, and Richard rants about Masterpiece variance. The crew discusses Pro Tour Kaladesh results, the new Standard, untapped Spirebluff Canals, and Hall of Fame invites. The crew discusses the return to once-a-year rotation, new Commander 2016 cards, and bribery and rules lawyering in competitive play. The crew discusses the remaining Commander 2016 four-color commanders along with their favorite and best cards, the new Emrakul and Progenitus promos, and the new Standard Showdown boosters. With Richard on vacation, Seth and Chaz talk Modern tournament results, another print run of Eternal Masters, and the big picture of MTG finance. Seth and Chaz dedicate the cast to Frontier with the help of one of the format's biggest fans: Tony from Heavy Meta! The crew discusses if Standard is stale, Nissa and Palace Jailer in Legacy, and the current state of Treasure Chests on Magic Online. The crew discusses the three new Planeswalkers revealed from Aether Revolt and the resurgence of Aetherworks Marvel in Standard. The crew discuss six more spoilers, Richard unveils his Bob Bolas theory, and everyone speculates on Atlazan. The crew celebrates episode 100 with a trip down memory lane, analysis on Tezzeret, and battle it out in the Magic Art Game. Official Aether Revolt Spoilers Begin! The crew discusses the first batch of official spoilers, including Paradox Engine and Fatal Push. The crew reacts the surprise Standard bannings of Emrakul, Copter, and Reflector Mage, and discuss overall Aether Revolt spoilers and combos. An early episode as Seth is on vacation next week! The crew reacts to Stoddard's Standard update, Wizards CEO's press release, and the new Arena-like MTGO drafts. The crew discusses the new Standard decks of Aether Revolt from #SCGCOL. The crew discuss their upcoming Pro Tour predictions, and the recent CCG revenue data by SuperData. The crew discusses all of the big news from Pro Tour Aether Revolt, including the new metagame, coverage, and the controversial judge call. The crew discusses the recent changes for Modern, Standard at GP Pittsburgh, and the new Amonkhet full-art basic promos. The crew discusses the new packaging from Modern Masters 2017, Amonkhet, the new Magic Digital Next image and Team Events. The crew breaks down the first Modern Masters 2017 spoilers and discusses the benefits and drawbacks of big data in MTG. The crew discusses their reactions to the full Modern Masters 2017 spoilers, the upcoming mid-set B&R, and the 2016 MOCS. The crew discusses the latest B&R with no changes to Standard, Channel Fireball handling all Grand Prix, and Reid Duke, NHL player! The crew discusses their MM3 impressions, Avacyn and Homeward Path promos, the new Amonkhet Dusk / Dawn leak, and Mind vs. Might decklists. The crew discusses the first batch of AKH spoilers including the Planeswalker Deck planeswalkers, and the upcoming 1v1 Commander on Magic Online. The crew discusses the controversial Invocation design, the new fetchable, cycling dual lands, and the first Amonkhet God, Hazoret! The crew discusses the latest batch of spoilers, including Gideon, Liliana, Kefnet, and Oketra. The crew discuss the last two Gods, Nissa, news out of the preview stream, and the changes to Magic Online Treasure Chests. The crew discusses their prerelease experiences, the latest Banned and Restricted Updates, and the Iconic Masters announcement. With Richard away, Seth and Chaz break down the B&R debacle and week one of Amonkhet Standard! The crew discusses the Magic Online Commander banlists, Pro Tour Amonkhet predictions, and Chaz dips his feet into Pokemon TCG. The crew discusses Pro Tour Amonkhet, Aetherworks Marvel, Zombies, and Grand Prix experiences. Seth and Richard discuss the new batch of FNM Promos, the post-Pro Tour Amonkhet metagame, and 1v1 Commander. The crew discusses the Commander 2017 leaks, HASCON pricing, and the recent Modern metagame. The crew discusses the Hour of Devastation leaks including Nicol Bolas, God-Pharaoh and Samut, the Tested, and the new Archenemy: Nicol Bolas product. The crew discusses the new changes coming to set releases in 2018, and the new MTG MMORPG announcement. The crew discusses the Ixalan leaks. *WARNING* We're still 3 months from Ixalan, so if you don't want to prematurely spoil the set, skip this episode! The crew discusses the first week of official Hour of Devastation spoilers. With Richard busy fixing the site, Chaz and Seth discuss the full Hour of Devastation spoiler and the newfound health of Standard and Modern. The crew discusses the HOU prerelease, the new Egyptian-themed SDCC Promos, and Cat Tribal from Commander 2017. The crew discusses the week one Hour of Devastation results and the recent changes to FNM promos. The crew discusses the results from Pro Tour Hour of Devastation and the three revealed HASCON promos. Seth is on vacation, so Chaz and Richard discuss the full Commander 2017 spoilers and decks. The crew discusses GP Denver, HASCON tickets showing up on Groupon, and the latest round of Reserved List buyouts. The crew discusses the mega batch of Ixalan spoilers (56 cards!) and the latest Vintage B&R update. The crew discusses the new planeswalker Huatli, Warrior Poet and the rest of the new Ixalan spoilers. The crew discusses the latest Ixalan spoilers, Iconic Masters & HASCON, and the new MTG: Arena. The crew dedicates an entire episode to Ixalan: the last spoilers, the Legendary transform cycle, Opt, and hopes for XLN Standard. A short episode this week! The crew discusses the Ixalan prerelease and answers your fishmail. The crew discusses the first tournament results of Ixalan Standard, and the latest MTG Arena news. The crew discusses the 2017 World Championship, MTG: Arena, the new Magic logo, and the latest 1v1 Commander B&R. With Richard away, Seth and Chaz break down National results and answer tons of #mtgfishmail questions! With Richard still away, Seth and Chaz discuss problems with card quality, the awesomeness of Modern and lots of #MTGFishmail. The crew discusses the two early Rivals of Ixalan (official) spoilers, the new RPTQ and GP promos, and Pro Tour Ixalan! The crew discusses Pro Tour Ixalan and the Standard metagame, the 15 new FTV: Transform cards, and Explorers of Ixalan. The crew discusses the first batch of Unstable spoilers, the triple GP weekend, and the purchasable Play Points on Magic Online. The crew discusses the surprise Rivals of Ixalan cards and go over last week's batch of Unstable spoilers. The crew discusses the last batch of Unstable spoilers, the abundant Iconic Masters supply, and bullying in the community. The crew discusses the change to make silver-bordered cards legal in Commander, and the new Great Designer Search 3. The crew discusses the release of Unstable, Rivals of Ixalan Planeswalker Deck cards and promos, and even DCU and MCU! Rivals of Ixalan spoilers are here! Seth and Richard kick spoiler season off with the two new planeswalkers: Angrath and Huatli! The crew discusses the entire Rivals of Ixalan spoiler, the rumblings of an Energy banning in Standard, and the upcoming Modern Pro Tour. The crew discuss the Rivals of Ixalan Prerelease and the banning of Attune with Aether, Rogue Refiner, Rampaging Ferocidon, and Ramunap Red. The crew discuss the first batch of tournament results and the latest details regarding the MTG: Arena economy. Seth and Richard discuss their predictions for Modern at Pro Tour Rivals of Ixalan, and submit their first trial application for the Great Designer Search 3. Seth and Richard discuss Pro Tour Rivals of Ixalan and Lantern Control! Seth and Richard work their way through the first part of the multiple choice questions from Great Designer Search three. Richard and Seth finish going through the multiple choice questions from the Great Designer Search! The crew discuss the new Jace Modern, Challenger Decks, and the first batch of Masters 25 spoilers. The crew discuss the complete Masters 25 spoiler and the Modern MOCS. The crew discuss the big batch of Dominaria leaks, including Teferi, Karn, and Jaya, along with Saga, Historic, and Legendaries. The crew discusses the latest Modern results, Arena dropping its NDA, and cheating in Magic. The crew discusses MTG Arena, the new FNM Promos, Firesong and Sunspeaker, and Brawl! The crew discuss the latest Dominaria spoilers and the new casual format Brawl. The crew discusses the current state of Standard and all the remaining Mythics from the Dominaria previews. Seth and Richard are joined by Todd Stevens to talk about Dominaria, Modern, the B&R, and Netdecking. Seth and Richard discuss the Dominaria pre-release, card stock quality, Arena codes and draft, and the latest Hasbro Q1 report. Dominaria Standard is in full force and we go over the popular decks in the format, the new Arena gem economy and leagues, and is it okay to ghost Streamers?